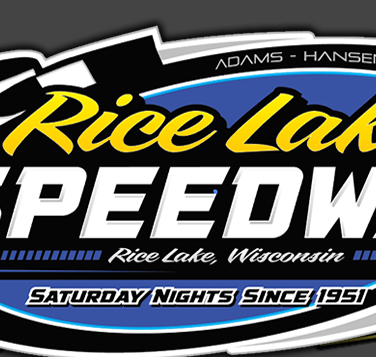 RICE LAKE, WI (June 6) – Minnesota drivers Dave Cain and Jimmy Gullikson slipped across the border Saturday into the Badger State, rolled into the Rice Lake Speedway and then returned across the border later in the evening bearing feature win stickers and checks to prove that both won their first feature races of the year at the track. Joining those two in victory lane for the first time in 2015 was local driver Tito Viltz while both Curt Myers and C. J. Wagner continued to build on their win totals for 2015. With weather bearing down on the track, officials sped up the proceedings as much as possible and despite one short delay during the Modified heats to pack after a brief sprinkling of rain, the final checkered flag flew at 9:11 p.m.
Cain's victory was relatively easy as he drew the outside pole for the Modified feature and led all twenty laps. A spin and a collision stopped the race twice before more than one lap could be completed and eliminated three cars from action. After that the race went nonstop to its finish and Cain cruised away from the field, winning by nearly a straightaway. The best race was for the second spot which Kerry Halopka held for many laps, fighting off challenges from Steve Hallquist over and over. Finally, with just a few laps to go, Hallquist rolled under Halopka in turn three and slipped into the runner up slot, which he maintained to the finish. Mike Anderson and Kevin Adams battled for position for much of the race with Anderson finally establishing his claim to the position. Late in race Tim McMann picked up speed and edged out his son in law for the fifth spot. The Street Stock feature was probably the best race of the night with Gullikson holding off a late charge by Kolby Kiehl to gain the win. Bob Wahlstrom and Kiehl started on the front row but when they both went high up the track on the first lap, Josh Amans shot under them to take over the lead. However, Gullikson was on the move quickly after starting in the third row, and he drove under Amans who slid up the track and Gullikson took over the lead. Sam Fankhauser, Hunter VanGilder and Adam Soltis were battling hard for position behind them and after getting such a bad start, Kiehl really picked up the pace. Moving to the higher groove, he was able to drive by car after car and moved past Amans to take over second and then began to close on Gullikson. With only a few laps left, Kiehl caught the leader and then made several attempts to pass. He was able to get to Gullikson's bumper on several occasions, but he couldn't quite execute a pass and Gullikson continued on home for the win with Kiehl tailgating him. The win was Gullikson's first ever Street Stock victory at Rice Lake. Amans held on for third as Soltis made a late charge with VanGilder completing the top five in a race that went nonstop green to checkered. The Midwest Modified feature did not quite as smoothly as the yellow waved four times during this event. The race started off with a wild scramble on the opening lap that saw Karl Kolek take the early lead. Tito Viltz moved up quickly from the third row and was able to drive past Kolek to take over the lead. Joining Tito in the front group were Shane Halopka and Ryan Viltz as the top three moved away from the field each time the race stayed green for any length of time. Halopka especially was pressuring Tito and tired several times to squeeze under him in the corners but wasn't able to pull off the pass. Ryan Viltz eventually retired from the race with a flat tire, opening up the third position to Austin Ellis. Halopka continued to put the heat on T. Viltz but Tito was strong in the groove as he drove home to the popular win, his first of the season. Halopka and Ellis trailed and two rookie drivers, Tim Ekdahl and Kyle Runkle, both earned their first ever top five finishes. Myers continued to flex his muscle in the Super Stock class as he made a strong statement in moving from the fourth row quickly to take the lead and then drive away from the Super Stock field. Jim Harris and Bart Steffen battled on the opening lap for the early lead with the nod going to Harris. Mike Anderson then quickly moved in and took over the top spot from Harris. Meanwhile, Myers was moving to the front quickly with a bold move on an early restart seeing him gain two positions and he shot between Eric Olson and Jason Forehand to move into third. He then dispatched Harris and pulled in on the leader. Anderson did not give up easily however, and he and Myers battled side by side for two laps before Curt was able to drive deep into turn three and edge into the lead. Once in front, he then began to gradually pull away as the race remained under the green the last sixteen laps. Anderson tried hard but he was no match for Myers on this night as he settled for second and Myers rolled to his fourth feature win at Rice Lake already this year. Harris had his best outing of the year as he drove home a solid third with Steffen and Forehand completing the top five. The big three in the Pure Stocks, C.J.Wagner, Nick Traynor and Jason Havel battled it out once again for the win saturday. After four yellow flags for spins in the first two laps, the drivers finally settled in and started to race. With all the spinning and changing of positions, Wagner found himself in the lead with Havel second. Traynor then was able to duck under Havel and take over the second spot and he then closed on the leader. However, Wagner had a good line and despite Traynor tapping on his rear bumper on the final lap, Wagner held him off for his second feature win of the year. Havel followed a close third with Mike Grover having another solid finish in fourth. Tucker Quinn recovered from a lap two spin to move back through the field and complete the top five. 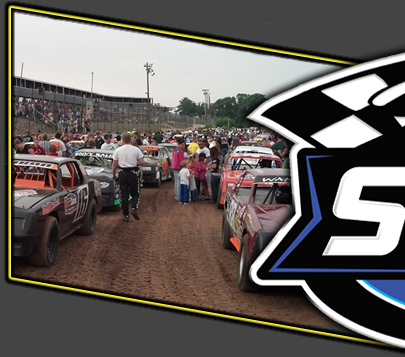 The racers will make a quick turnaround as racing action continues this coming Tuesday, June 9th with the Aquafest Trophy races at the speedway. As a part of the city wide celebration, racing will take place on Tuesday and then the speedway will remain dark on Saturday, June 13th. All five classes will be in action on Tuesday with the draw-redraw format being used to qualify for the main events. 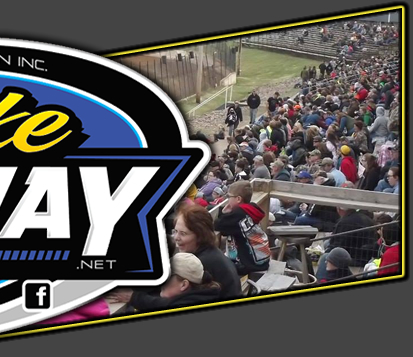 Hot laps are scheduled for 6:30 pm with racing to follow in what will be a full point program for all five divisions.